1/11/2019- Vocabulary Quiz on Monday, January 14th. 01/07/2019- Reaching for the stars: Create a chart that shows 5 dreams or goals that you have for your future. List your goals in the first column, then list the limitations that exist for those dreams in the second column. Then tell whether you think the dream is still worth pursuing in the third column. Complete this assignment in your reading notebook. Due tomorrow! 11/13/2018- Read chapter 15 of “The Man Who Loved Clowns” and complete exercises 2 & 3 from Grammar book on page 329. 10/26/2018- Complete Unit 2 Set B Vocabulary sheet- create a memory clue for each word and use each word in your sentence. 10/24/2018- Study Unit 2 vocabulary! 10/12/2018- Periods 2-3 and Period 4-5: Complete the article assignment on Newsela. Remember to take the quiz, complete the written response and the power words section. Period 9-10: Complete unit 2 Vocabulary sheet. 10/11/2018- Nouns as object complements- Complete all exercises and the practice power writing assignment on page 321 in Voyage textbook. 10/05/2018- Subject Complement Exercises 2 and 3- Page 319 in Voyages (textbook). To be completed in language arts notebook. 9/28/2018- “Thank You Ma’am” Written Response- Analysis writing with textual evidence. Assignment on google classroom. 9/20/2018- Study for short story quiz on Tuesday (9/25). The quiz is on the short story “The Last Dog”. 9/20/2018-Study for the quiz (Monday) on introduction to Blest Are We and the Gospel of Luke. Make sure to study your notes! 9/19/2018- Study for quiz (Monday) on introduction to Blest Are We and the Gospel of Luke. Make sure to study your notes! 8/29/108- Finish “Who do you say I am?” Activity. Due Friday. 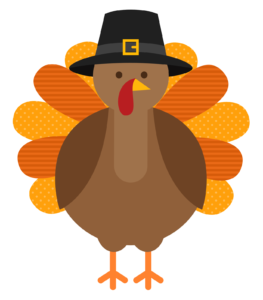 On Thanksgiving this year, cards and goodie bags created by students of all grade levels will be distributed to more than 300 people in the St. Giles parish community who will have Thanksgivingdinner delivered to their homes. Seventh-grade students will bake homemade brownies & eighth-grade students will bake homemade cookies this year! Each student is responsible for baking one batch of brownies or cookies. Each should be individually wrapped in plastic wrap. ALL brownies and cookies are due, at the very latest, on the morning of Tuesday, November 20th. If you have any questions, please reach out to Ms. Bryanna Gomez by email at bgomez@stgilesschool.org. Thanks for your time and effort to make Thanksgiving a wonderful holiday for everyone! 10/2/2018- Iron Oaks Adventure/ Environmental Learning Center Field Trip. Make sure your field trip form and waiver form are submitted by Monday! Remember to be at school by 7:50 on Tuesday. Bus leaves at 8! 8/29/2018- Please submit your iPad agreement forms by tomorrow. This website brings together a variety of engaging articles for students from the most credible sources. The articles vary from social to current events and offer challenging learning content. 93% of teachers said Newsela helps their students improve their reading skills. My name is Jobin George and I am very excited for my second year of teaching at St. Giles. I teach 7th grade English Language Arts/ Literature and Religion. I received my Secondary Education/English certification as well as the Middle School Social Sciences endorsement from Northeastern Illinois University. This summer, I started reading the Flavia de Luce mystery series and I am currently on the third book. It is a great series! Check it out! I am looking forward to the new school year. A special welcome to the class of 2020 to the junior high floor! Posted on this teacher page, google classroom, and classroom bulletin.